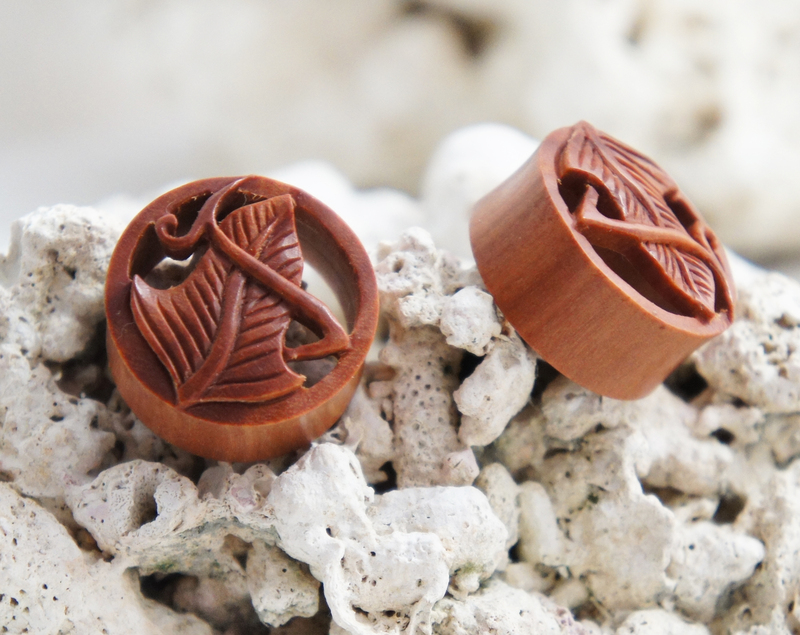 Whether you are a nature lover or are going out to fight orks, these plugs are for you! Hand crafted flesh tunnels that feature a carved elven leaf that is raised outward from the plug creating an open tunnel. These tunnels offer the illusion of a larger plug since the leaf and wind swirls flare outward from the tunnel base. 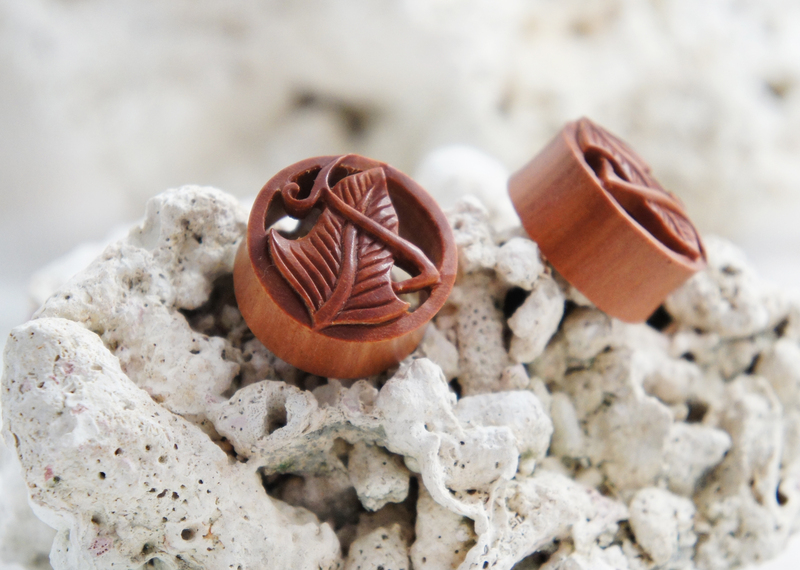 As with all of our gauges we carefully choose the best piece of wood to carve the pair from so that the grains and texture compliment the look and feel of the gauged plugs. We regularly release new sizes and styles so if it's not currently available now there's a good chance it will be later. 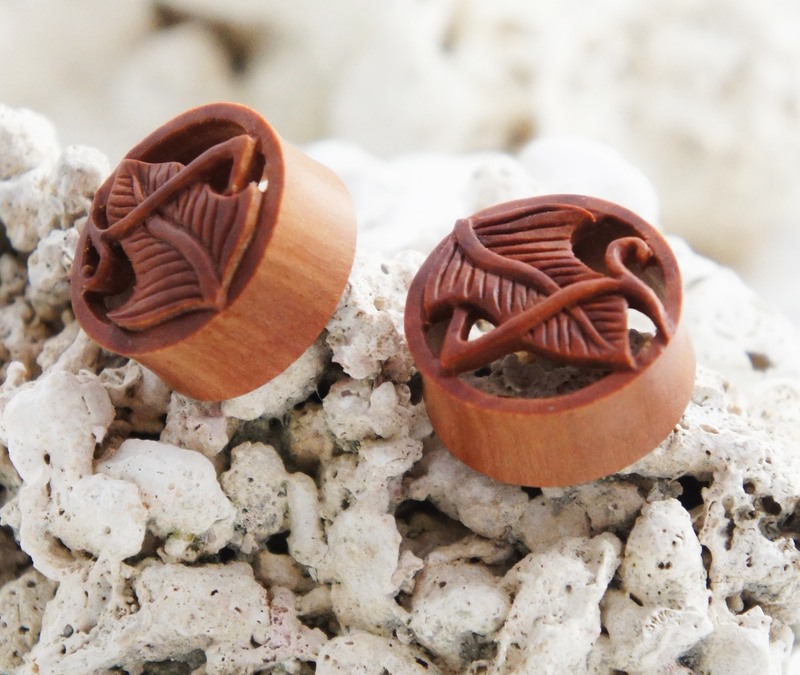 These carved plugs are sold as a PAIR of gauged earrings.